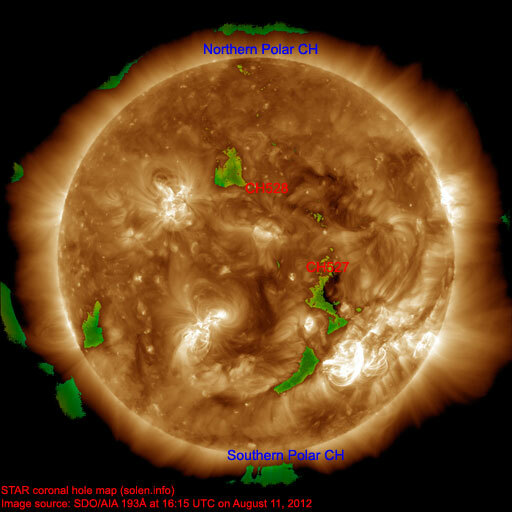 Last major update issued on August 15, 2012 at 02:05 UTC. 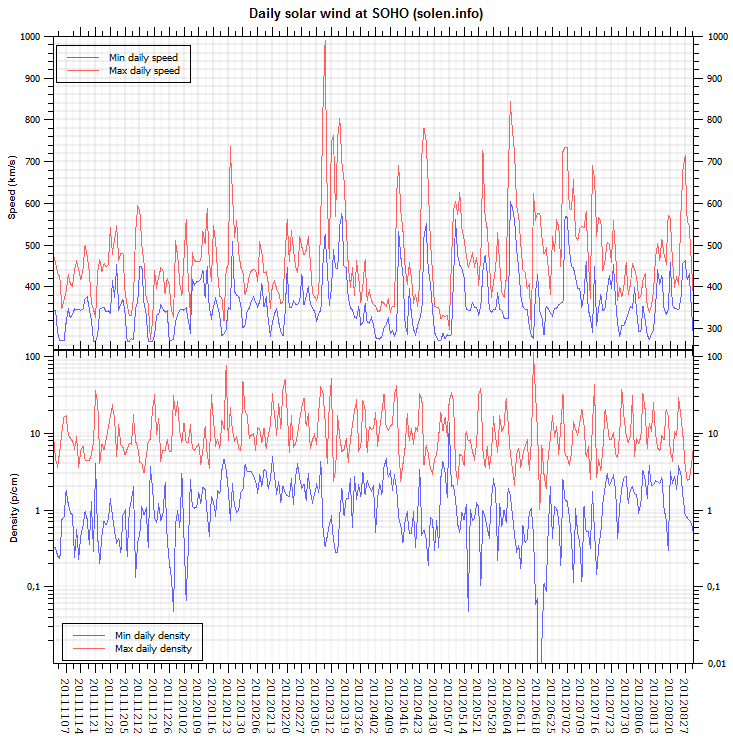 The geomagnetic field was quiet to unsettled on August 14. 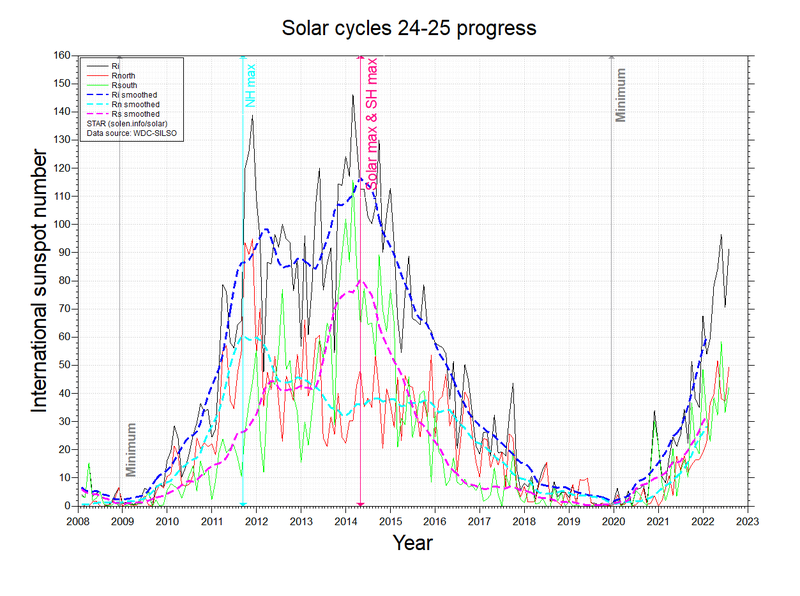 Solar wind speed at SOHO ranged between 437 and 502 km/s under the influence of a high speed stream from CH527/CH528. 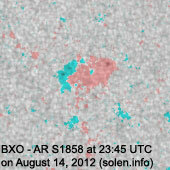 Solar flux measured at 20h UTC on 2.8 GHz was 105.8 (decreasing 3.7 over the last solar rotation). 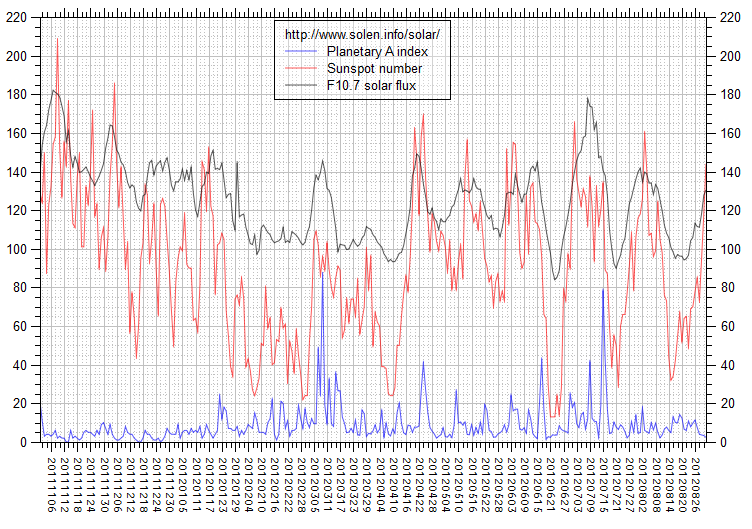 The Potsdam WDC planetary A index was 7 (STAR Ap - based on the mean of three hour interval ap indices: 7.1). 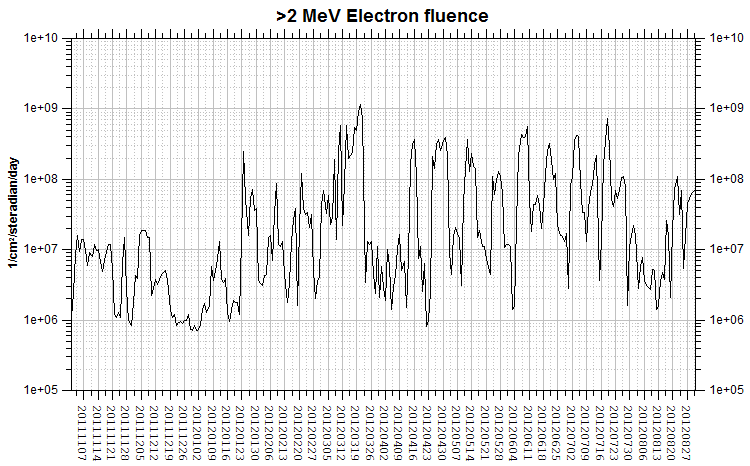 Three hour interval K indices: 22221113 (planetary), 23222222 (Boulder). Region 11542 [S12W33] decayed slowly and was mostly quiet. 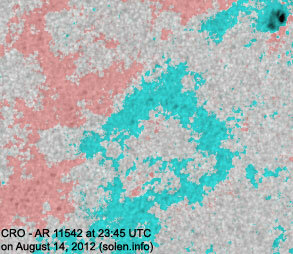 The region was the source of a long duration C1.1 event peaking at 03:01 UTC. 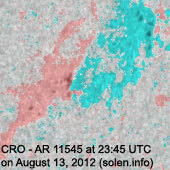 A small possibly Earth directed CME was observed in STEREO imagery. 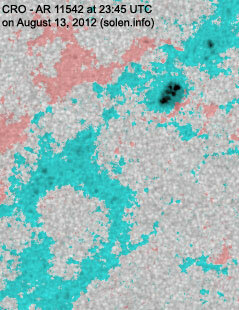 Region 11543 [N22W20] developed a weak magnetic delta structure in the southwestern part of the large penumbra. A minor M class flare is possible. 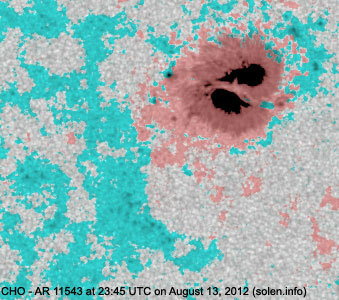 A C3.5 flare was recorded at 00:31 UTC. A small CME was observed in both LASCO and STEREO imagery. The core of the CME is not Earth directed. 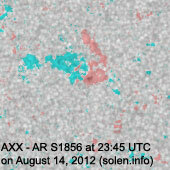 New region S1856 [N12E27] emerged with a small spot. New region S1857 [S19W04] emerged with a tiny spot. New region S1858 [N08W32] emerged with small spots. 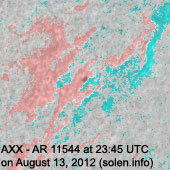 August 12-13: No obviously Earth directed CMEs were observed in LASCO and STEREO imagery. 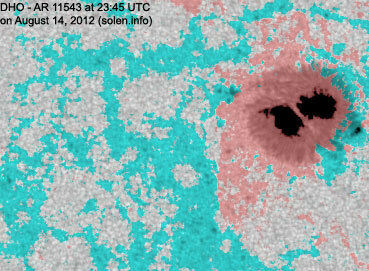 A recurrent coronal hole (CH529) in the southern hemisphere will likely become Earth facing on August 15-16. 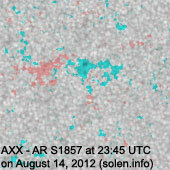 The geomagnetic field is expected to be quiet to unsettled on August 15 and quiet on Augusut 16. 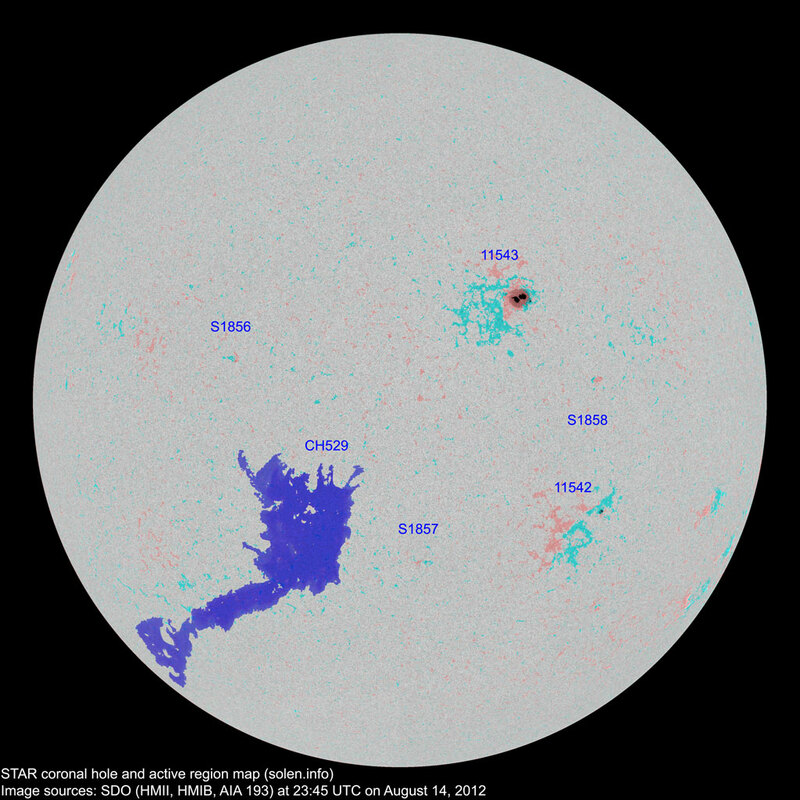 A weak CME impact is possible on August 17 and could cause a few unsettled and active intervals. A high speed stream from CH529 could cause unsettled to active conditions on August 18-19.